A very rare and scarce press photo signed by JAWS legend Robert Shaw who played QUINT in JAWS. Robert Shaw also starred in James Bond, and Battle Of the Bulge. He was a much loved actor and author of his generation. 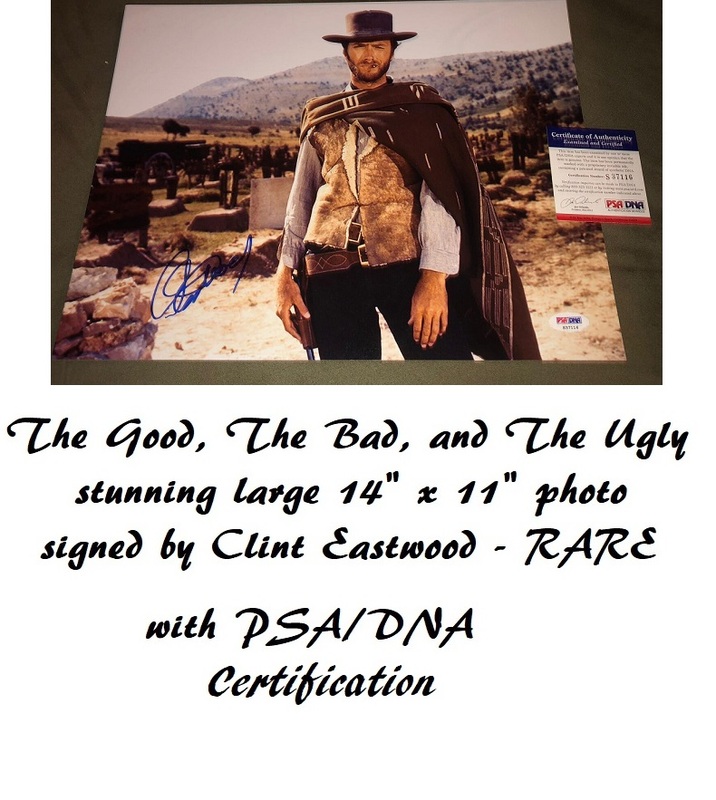 This is a very rare example of an 1970's Robert Shaw signature on an 8" x 10" photo. 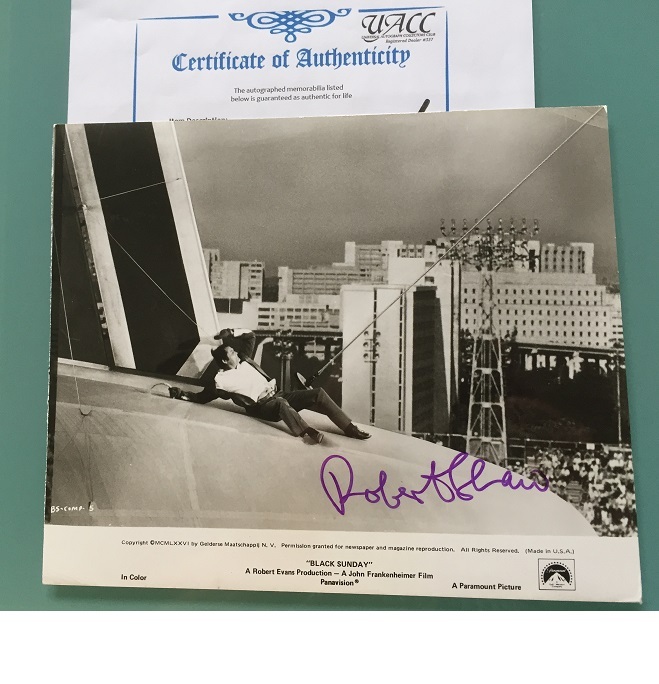 We have never seen a genuine Robert Shaw signed photo in character as Quint in Jaws ! Beware of many fakes. This is what a genuine Shaw signature looks like. This is probably the nearest thing, with a boat action photo, ideal for a Jaws collector. which has a couple of minor dings, but otherwise in excellent condition for age. Also comes with certification from R & R (USA) - UACC registered dealer.